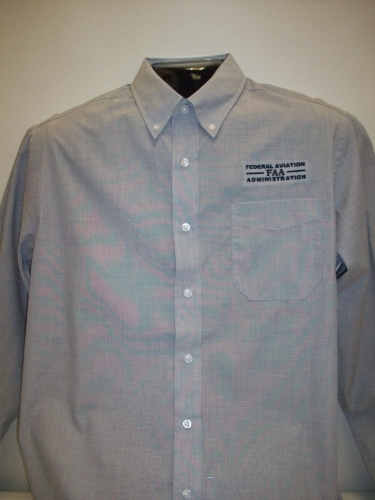 Two-color weave gives this wrinkle resistance poplin shirt a beautiful look. 3-ounce, 60/40 cotton/poly with button-down collar, center back pleat, pearlized white buttons and sdjustable, button-through sleeve plackets. Navy Frost only.